As we prepare to bid adieu to 2010, I took a stroll down memory lane in the months since I joined the club of which no one wants to be a member. There were some great moments in the first few months of 2010, or BC (before cancer), and I made it my mission to ensure that the months that followed had the same. 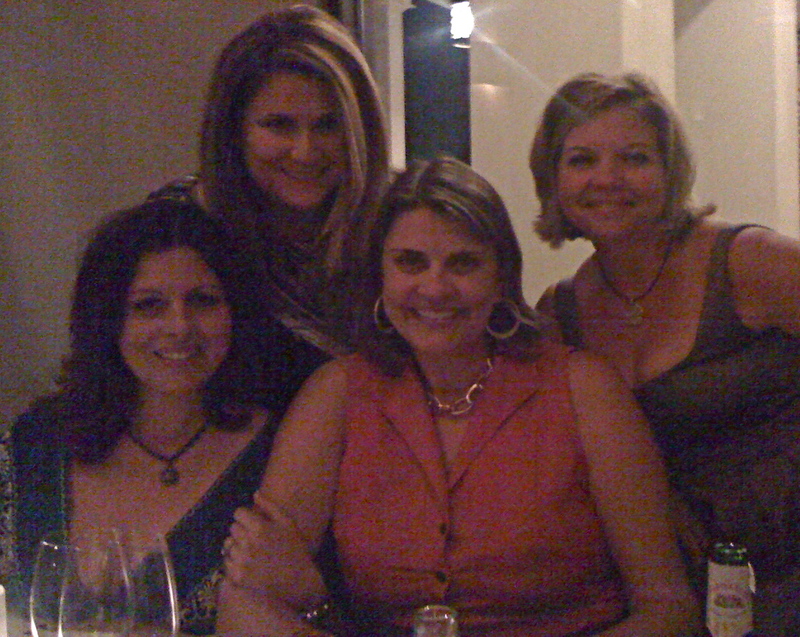 Two weeks before I was diagnosed, life was grand, as evidenced by the happy girls in this photo of Yvonne’s birthday dinner at Stella Soli. So fun! Who knew that something wicked this way comes? 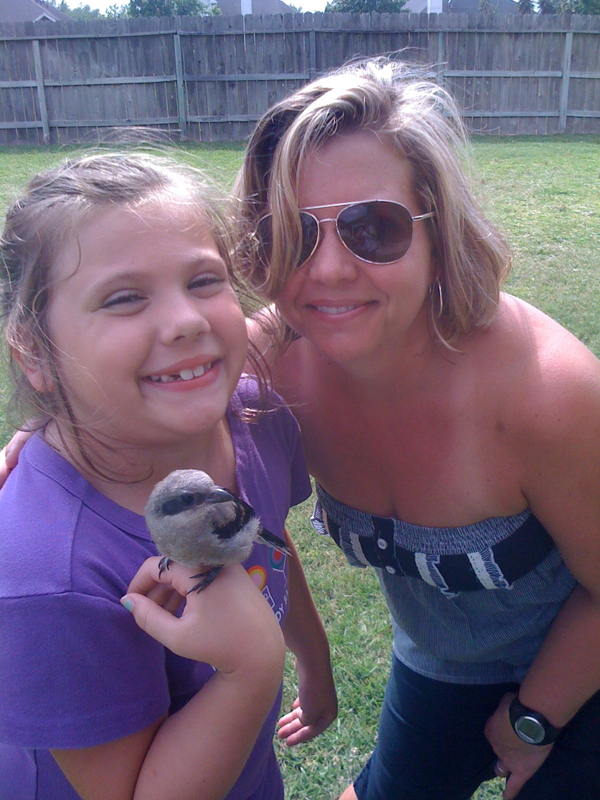 The day before my surgery, Macy and I had the great good fortune to meet Jeffrey, a baby mockingbird rescued and rehabilitated by our friends the Hoovers. I’m sure I had a million things to do to get ready for the big day, but meeting Jeffrey was high on the list, and I wasn’t going to miss out on the chance to have this sweet little guy hang out with my favorite girl. 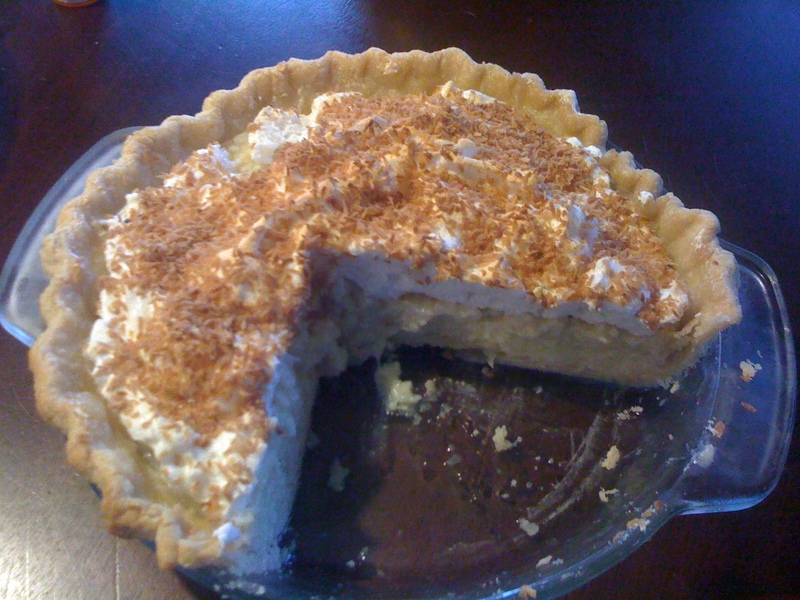 and home delivery of my all-time favorite coconut cream pie. You know you’re in the inner circle if you’re invited to share a slice of my cousin Tom’s homemade heaven. 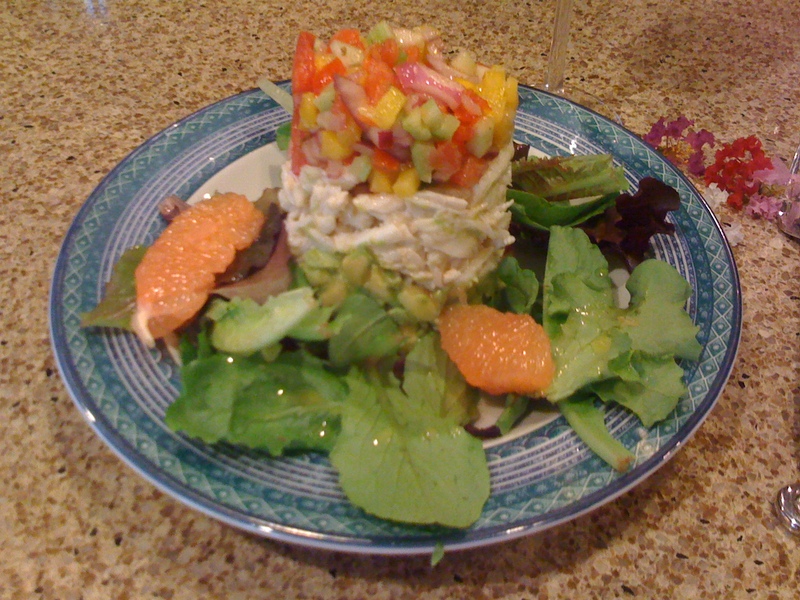 One of my first post-surgery outings was around the corner to dinner at the Cremers’ for Keith’s famous crab towers: lump crabmeat topped with a most delectable avocado-mango salsa atop a bed of greens with a citrus-y vinaigrette. 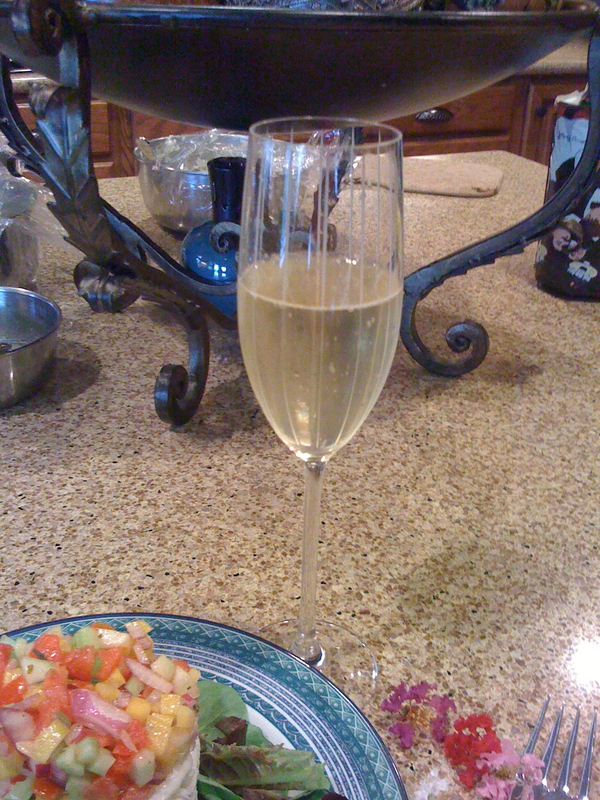 Dinner at their house is always good, because he and Jill are both fantastic cooks and there’s always plenty of bubbly on hand. Y’all know how much I love my bubbly. Some may say I love it more than my kids, but that’s not fair. We all know it would be a tie. Two weeks after the surgery, but before the dreaded infection showed up, it was my birthday. 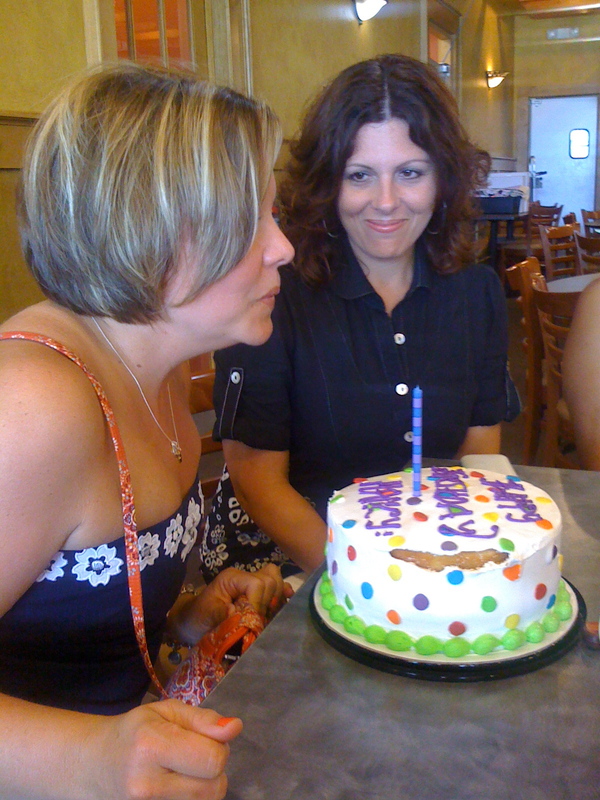 Those who say it’s all downhill after 40 may not realize that to a cancer patient, each and every birthday is a gift, and I met birthday number 41 head-on with a welcome embrace: Mexican food, margaritas and the cutest cake ever with my girls. None better. Who cares that I still couldn’t wash my own hair at this point? Not me! I was happy to be upright and out of the house. A week after my birthday, the bottom fell out of the extraordinary recovery I was experiencing post-surgery. We were at a joint birthday party for 3 June girls (but there were no joints at the party; that’s how rumors get started! ), and I didn’t feel good. After two weeks of slowly but surely making progress and feeling better, this was weird. What was really weird was waking up the next day to a huge red rash and blisters at the surgery site on my right side. You don’t have to be a doctor to know that is not good. and embarked on one of the most memorable summers ever, for baseball. Memorable because the team did so well (District champs, Sectional champs and on to the State championship in Tyler) and because the boys chose to show their support for me very publicly by wearing pink sweatbands all summer. 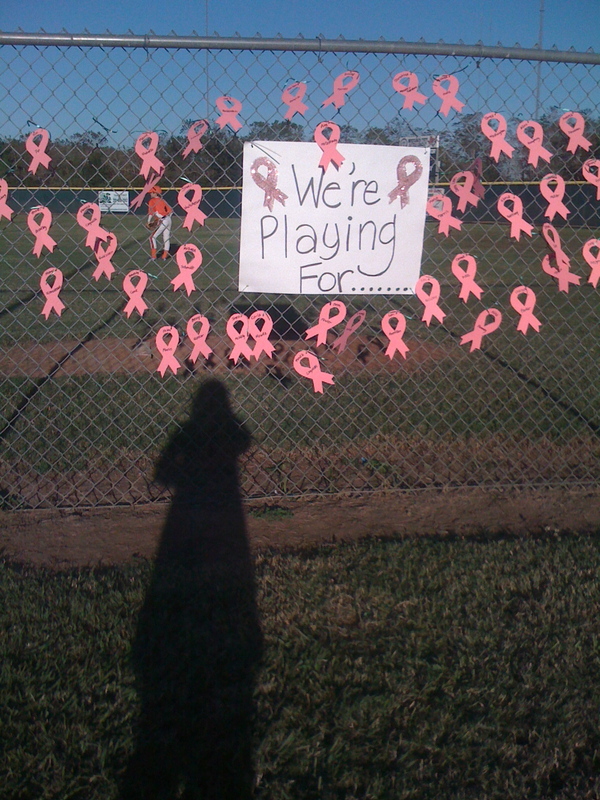 These warriors in pink tore it up on the baseball field and made this mama so proud. 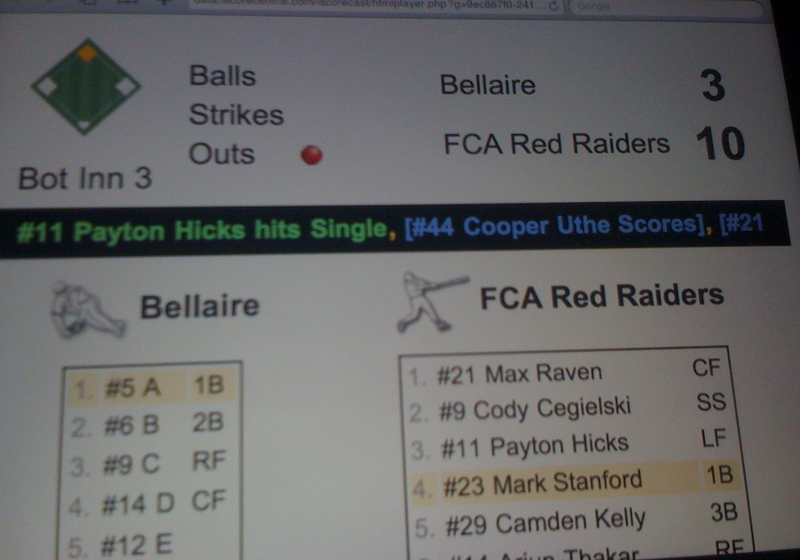 I only made it to a couple of games but got to follow along with all the action thanks to an iPhone app that allowed Trevor to “broadcast” the games to a website that I followed on my iPad from the hospital. I will never forget the look on the nurse’s face when she came into give me a shot of morphine and I told her I needed to wait (I never turn down the good drugs) because I wanted to keep my wits about me and follow the game. Also memorable was the wound-care specialist who had two sons go to State as All Stars who called me from home at 10:30 pm to see if Payton’s team won. They did. 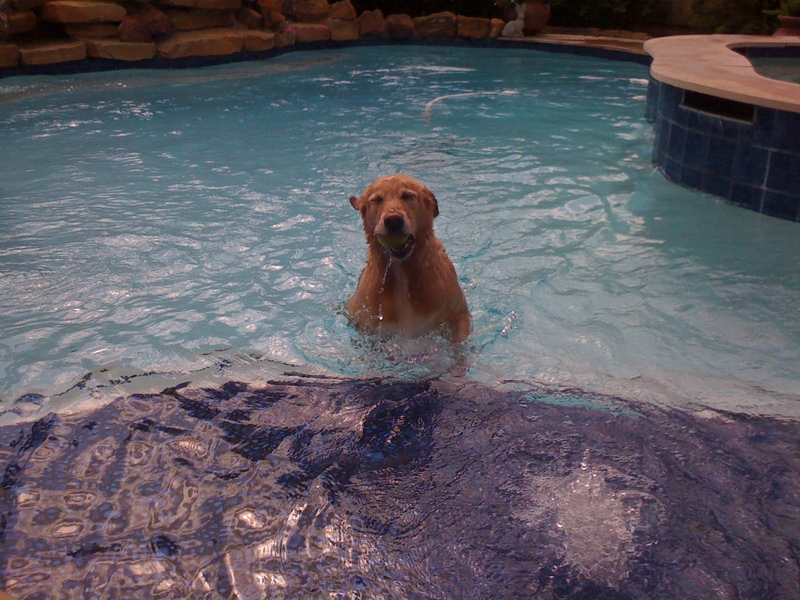 In between hospitalizations, I spent a couple of hours one day in my backyard in the sunshine, watching Harry frolic in the pool. After being cooped up in a dreary hospital room and feeling lousy, the fresh air, sunshine and unbridled canine joy were just what I needed. One of the best days of all was in early July, in between hospital visits. I had been to see Dr Darcourt, my third oncologist, and learned that he agreed with all the research Trevor had done: no chemo! 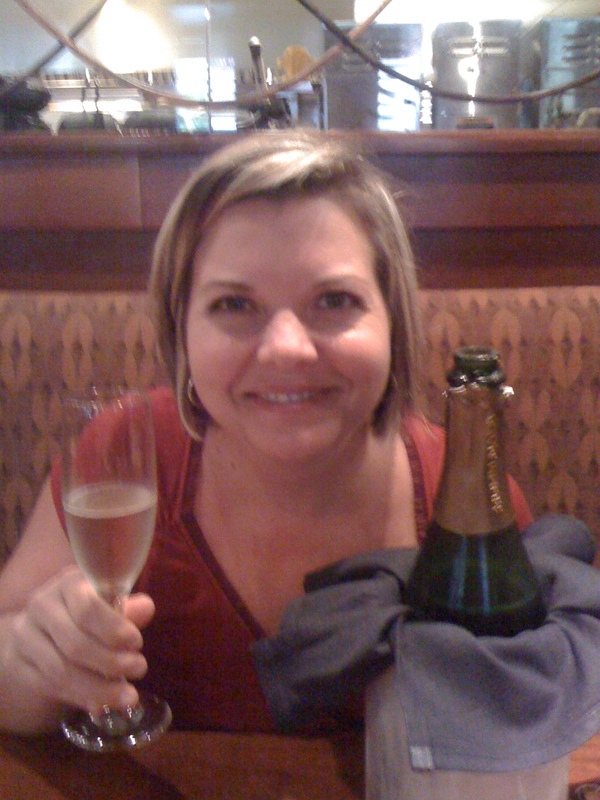 Celebration was in order, and when Amy & I ordered champagne at lunch, our sweet waiter at PF Chang’s asked if there was something special to celebrate. He had no idea but we filled him in! Another highlight was getting to spend the weekend in Galveston with Christy & Alexis, who were kind enough to teach Macy how to fish. And fish she did: that girl caught the biggest fish of the trip! Later that night, I caught a baby sting ray (not my intent, for sure). I still feel bad about that poor little guy happening by the tempting lure on my fishing pole. All’s well that ends well, though, and with some help from some more seasoned fishermen, the little guy was freed. More importantly, I had a fun weekend with great friends that approximated a return to what most people consider a normal life. Despite the idyllic setting, that weekend was just an approximation, though, of normal life, and the infection would puzzle and vex not one but two set of infectious disease doctors. After two more hospitalizations and a new team of ID docs, we got a handle on it, and although the last thing I wanted was to go back to the hospital, and to the Medical Center at 10:30 on a Sunday night no less, I wasn’t alone in the joint. 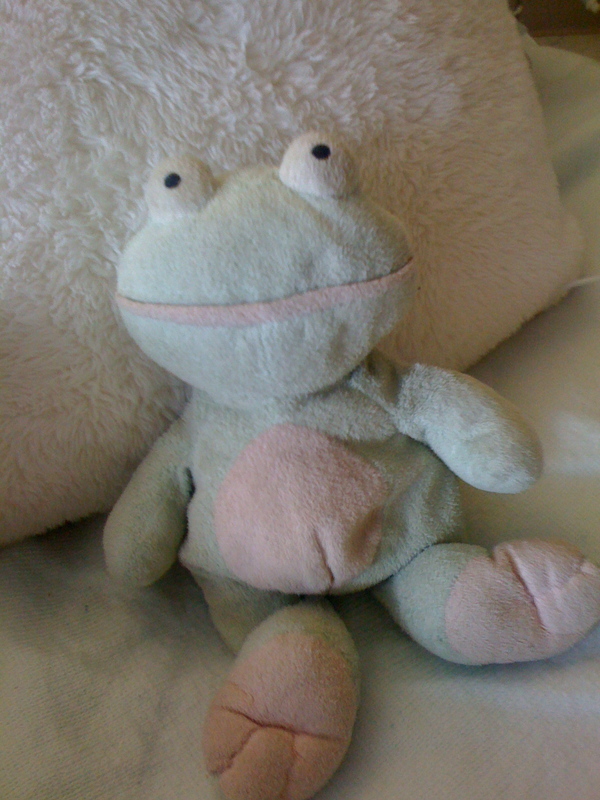 Macy loaned me her beloved Froggy to keep me company, and he took his job seriously. He didn’t left my side until I was allowed to go home, and then he went straight from the suitcase into the washing machine lest he brought home any nasty germs from the hospital. We’d had quite enough of those in our life. Early August was bittersweet: I was on the mend, literally, but still on IV antibiotics at home and not well enough to travel to Boston for our annual vacation. After already having missed my Duke girls’ trip to Lake Tahoe in early June and all of the State championship in Tyler, I was beyond sad to miss this trip, which is always the highlight of our summers. 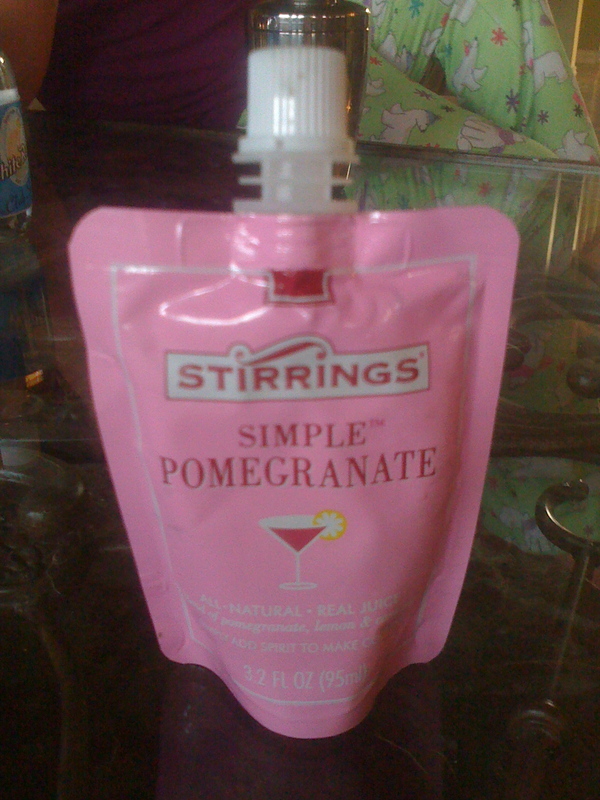 Leave it to Macy, though, to bring me a fantastic souvenir: Continental Airlines had unveiled a new drinks menu on her flight home from Boston, and she got me a pomegranate martini mix and, once home, brought two glassed full of ice, two lime wedges, and one shot of vodka. My favorite girl and I had a welcome-home drink together. Of all the bevvies I’ve consumed, that one may be my all-time favorite. A few days after school started, and a week or so out of the hospital, Macy & I had tickets to see Jack Johnson play at the Woodlands pavillion. After a string of disappointments all summer, I was determined to make it to the show. It poured rain on us and traffic was horrendous, but we made it and had a great time. What would be an already-sweet occasion was all the better because I was there, upright and out of the house! I got through the rest of August and September without incident, and was starting to think maybe, just maybe I would be able to actually make and keep some plans that didn’t involve a hospital. 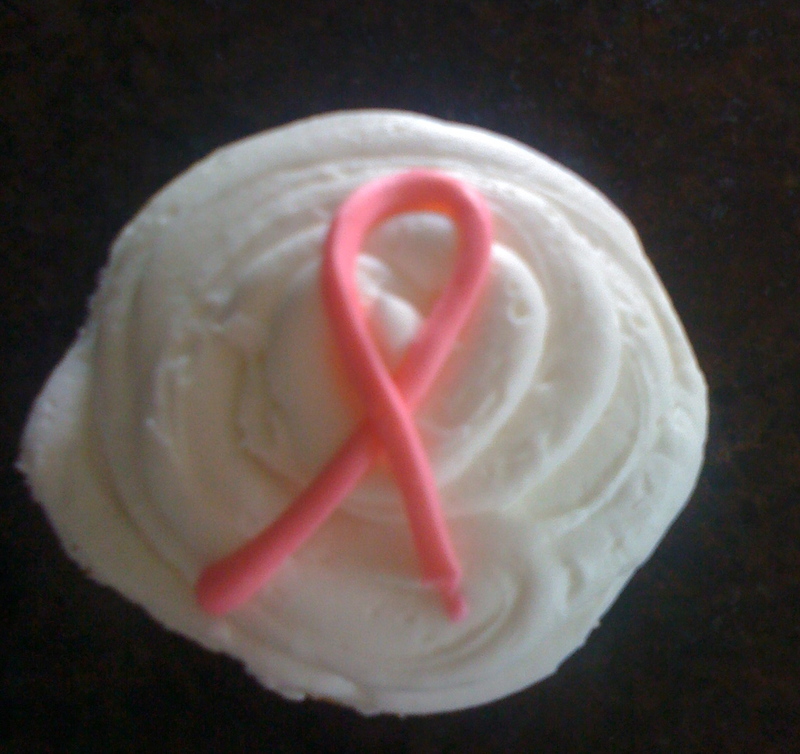 October marked my first foray into Breast Cancer Awareness Month as a survivor. While always aware of the fact that every October is earmarked and punctuated with lots of pink ribbons, it’s a different experience on this side of a cancer diagnosis. 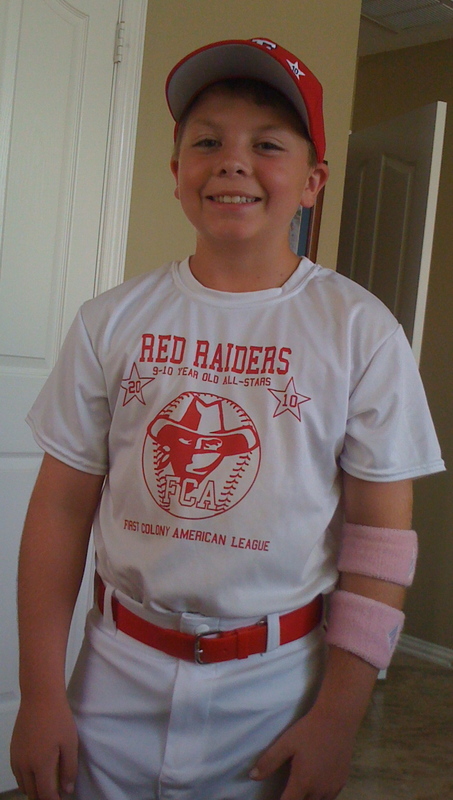 I was tickled pink (sorry, couldn’t resist), when Payton’s baseball team played in this tournament. Next up was an event that was huge for me: the Witches’ Open tennis tournament at our club. I went into my double mastectomy in the middle of our tennis season, not knowing how the surgery would affect my game. Of course it never crossed my mind that I wouldn’t get my game back, the question was how much and how soon. So playing in the Witches’ Open was a stellar event. 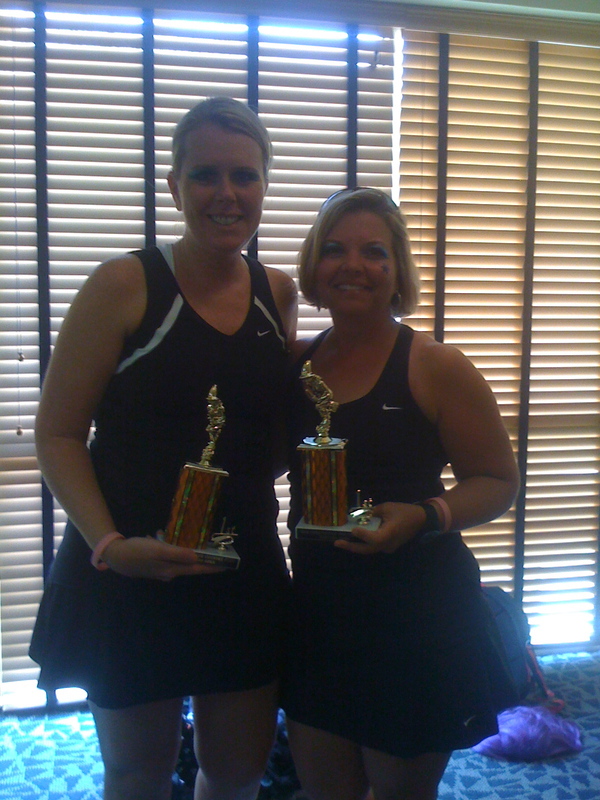 Not only did I play with my longtime running buddy, Staci, but we won! I’m pretty proud of our little trophy. 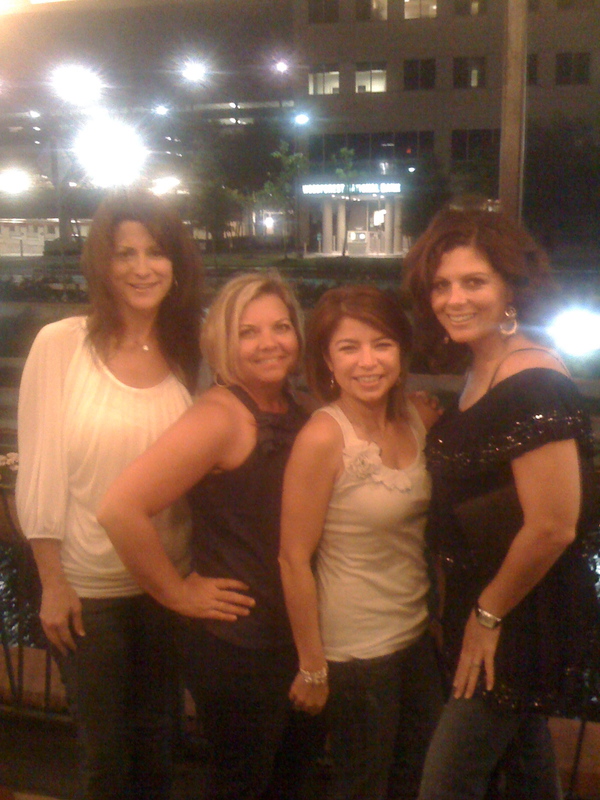 That same night, still basking in the sweet glow of victory from the Witches’ Open, I made a return trip to the Woodlands pavillion for the Maroon 5 concert. Talk about a perfect day: tennis then a road trip & dinner with super fun girls, then the show. That great day slid into a great night, and again I was beyond happy to be upright and out of the house. As if this month hadn’t been great enough, the last Friday night in October was the icing on the cake. 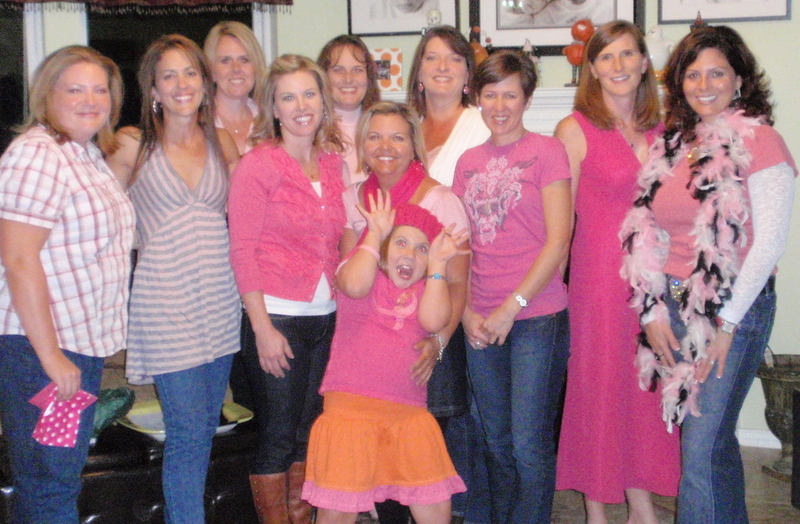 I gathered by BFFs for the first annual Pink Party. Prepare to be seeing photos of this event every year for the rest of my life. It was that good. Many a nights laying in the hospital bed, I thought about what I was going to do once I finally got well enough to do something for my friends to show my appreciation for all the love and support they’d so freely given during the worst time of my life. The Pink Party was all I had envisioned it would be, and the fact that I was able to put on the dog for my girls was monumental for me. Next on the calendar was Thanksgiving, and at the risk of sounding totally hokey, I had an awful lot to be thankful for this year. At first, as we approached the holiday, I tried not to think too much about it, for fear that reflecting back on all that had happened would overwhelm me. Then I realized that’s whacked, and instead of avoiding it, I should be relishing it–every bit of it. 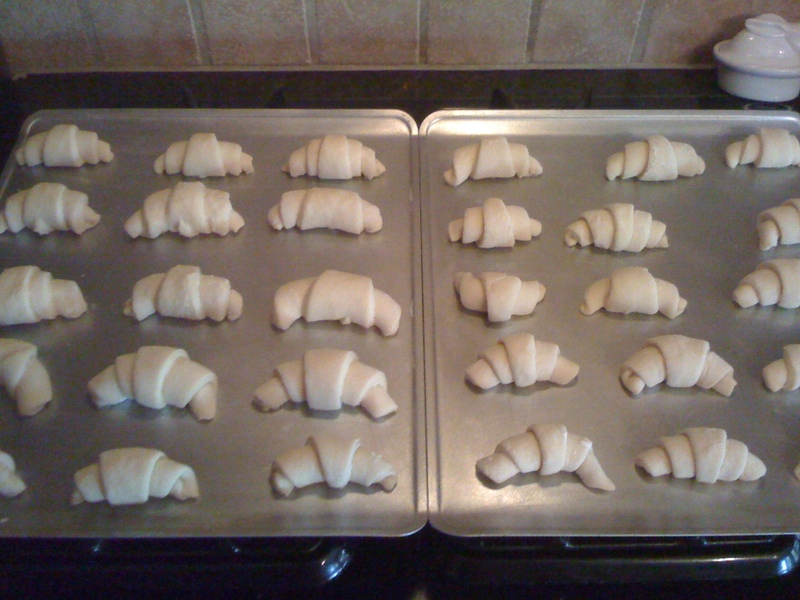 Another major triumph for me was making my mom’s famous crescent rolls. I’ve made them before with limited success, but this year, they rocked. 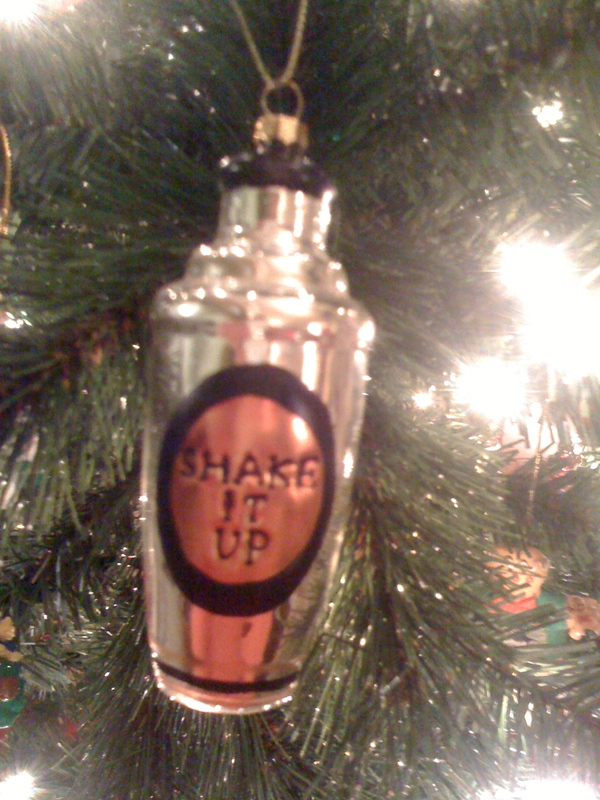 After Thanksgiving of course was Christmas, and the first ornament to go on our tree was this one: the cocktail shaker that says “Shake It Up.” I intend to do just that in the New Year. And for the record, it was Macy who picked that ornament to go on first, in my honor. That girls knows me so well. Like most families, we have lots of cute and meaningful ornaments in our collection, but it makes me smile that she chose this one to kick off our Christmas season. So as 2010 draws to a close, I can’t say that I’ll miss it. Unequivocally, it has been the hardest year ever. 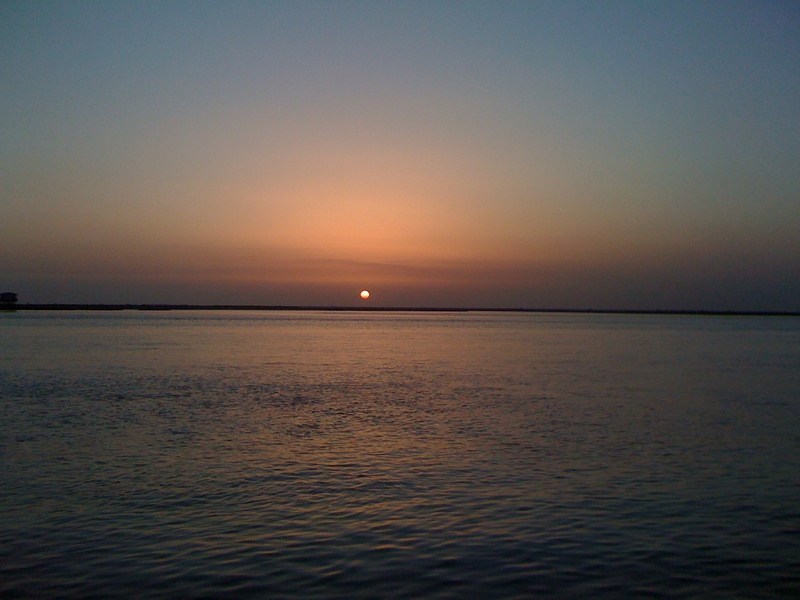 But amid the chaos and confusion and abject misery, there were a whole lot of bright spots. Those moments and memories outshine the yucky stuff. I read an article about plastic surgery in China (you may have, too, and if so, were you as freaked out as I was?). It told the story of Wang Baobao, age 28, who has had some 180 plastic surgeries. She started with her first operation at age 16, and has 6 or 7 procedures each time she goes under. She’s had something done to “nearly every part” of her body: she’s had her eyes widened (and more Western-looking), her nose & jaw narrowed, and her chin reshaped. She’s had fat sucked out from her hips, thighs, stomach, and rear end. She even had heel implants, to make her taller (didn’t work). She’s had her breasts done, of course, and she says, “I had to keep having operations to repair them.” Yeah, me too. China is third in the world of most plastic surgeries performed, behind Brazil and the U.S. No data, though, on how many procedures in any of those countries are for non-cosmetic problems. The “official” estimate is that 3 million plastic surgeries were performed in China last year. The Deputy Secretary of the Chinese Association of Plastics & Aesthetics says his hospital sees 100,000 plastic surgery patients a year, and that all of Shanghai could see 300,000 a year. Try getting a hospital room there. However, the Deputy Secretary points out that “most people don’t have surgeries at officially regulated hospitals. Many patients go to beauty salons and other unregulated facilities.” A beauty salon??? Egads. That’s a major infection waiting to happen. Trust me, I know. Before the economic reforms of the 1980s, people in China were only allowed to have plastic surgery to correct a physical deformity, mostly hairlip patients. Cosmetic procedures were considered a bourgeois way of life. What’s so bad about the bourgeois? Doesn’t everyone deserve a perfect physique? (says the girl with the flattest and most scarred chest in the Western Hemisphere.) I’m all for economic reforms, and think in general prosperity is a good thing for society, but when the rising tide of affluence is outpaced by the pursuit of physical beauty, we may be headed for trouble. Xi Shirong, the senior plastic surgeon at Beijing Hospital, says he sees at least 20 patients a day, mostly women in their 20s. That’s right, in their 20s. 24-year-old Wang Bei, a singer in China, died in the OR during a facelift. Can someone explain to me why a 24-year-old would need a facelift? Back to Wang Baobao. She says the technology wasn’t good enough and the surgeons not skilled enough. One might think she’d be able to find a better surgeon, though, considering how many times she went under the knife. Isn’t that the definition of insanity: doing the same thing over & over but expecting different results? She says she kept “needing repair operations.” Again, me too. Sigh. She’s spent some $600,000 on her surgeries and says “the effects are not that good. And all over my body, there are too many scars.” Ya think? 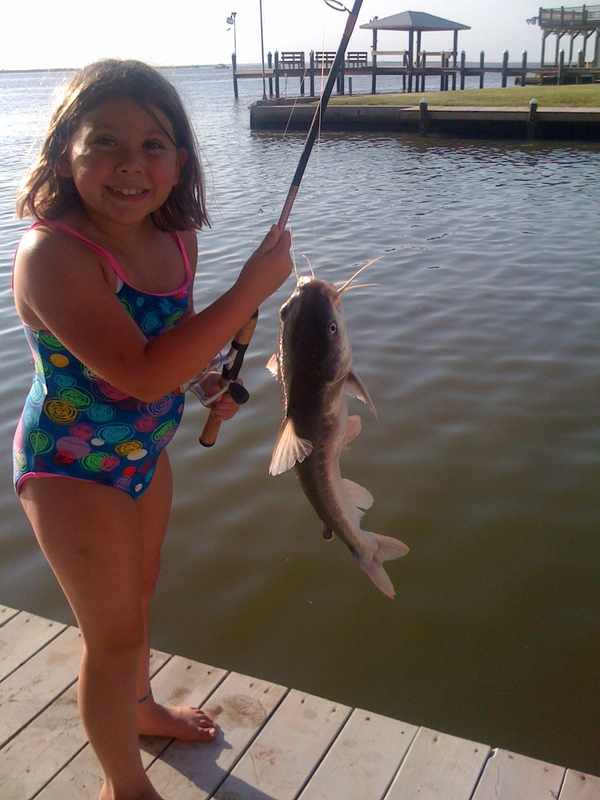 Those of you fortunate enough to know my daughter Macy know she has a love for animals that’s as big as Texas. She’s said from her earliest days that she wants to be a vet and a zookeeper. I can think of no other vocations more suited to her, and despite the fact that she may end up at Texas A&M (oh, the horror!) for vet school, I support her. Getting a little ahead of myself, again. Keep in mind that we already have two dogs and three fish in our house, and that on any given day I’m meeting myself coming & going just keeping up with the necessities of getting through the busy day. So when Macy asks for another animal for Christmas, I heave a big sigh and think, what’s the best way to change the subject? This isn’t the first time she’s asked for another animal. In fact, every time we go to the pet store she lobbies hard, and that girl is persuasive. Factor in my own love of animals, and we’re lucky we don’t have more of a menagerie around here. I knew we were in trouble this time, though, because the only thing on her Christmas list was an animal. Uh oh. A note about this child: from the moment we saw the sonogram image of her in utero we knew she was different. Different, good, that is. That first image showed a beautiful profile with her tiny wrist laid flat against her forehead in classic Scarlet O’Hara pose, as if from the very beginning she was thinking up some form of drama to unleash on the world. Macy has never been like other girls. She never liked the Disney princesses, and to this day can be heard muttering under her breath when she comes across one of them on TV, “That Belle is so stupid.” When all the other little girls were having a Tinkerbell-themed birthday party, Macy wanted a barnyard theme. When all her little preschool classmates were tottering off to ballet class, she was in the backyard, digging for worms and filling the birdfeeder. So it should come as no surprise that this fiercely independent girl not only goes her own way (despite the crowd), but has stayed true to herself for all of her 8 years. Her love of all creatures is here to stay. 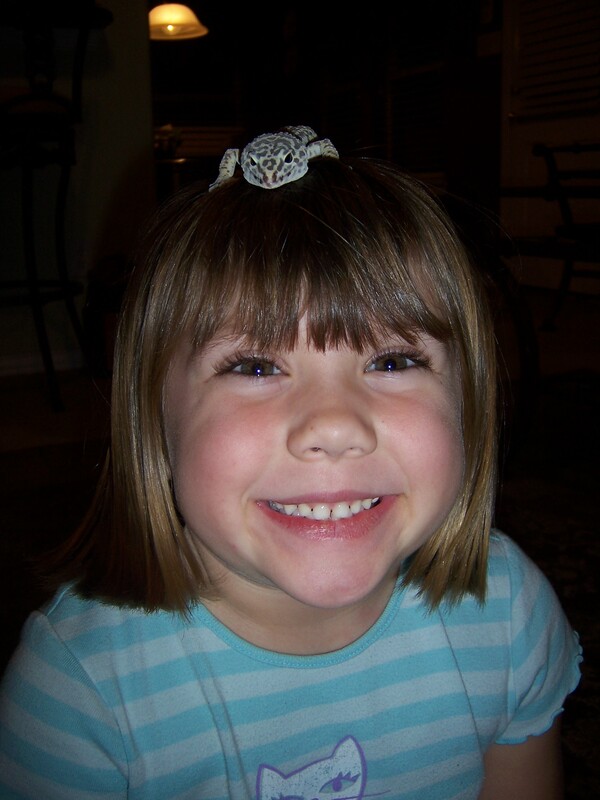 While her first choice for a new animal was a chinchilla, the $150 price tag turned me off, and Trevor has a strict “no rodents” rule, so she moved on to a turtle. I told her that, while fascinating, turtles stink and I’m not sure they like to be handled, so she may be disappointed with a hard-shelled creature. Next up was a bearded dragon. Considering they grow to be 3 feet long and eat live mice, the answer was not just no, but no way. 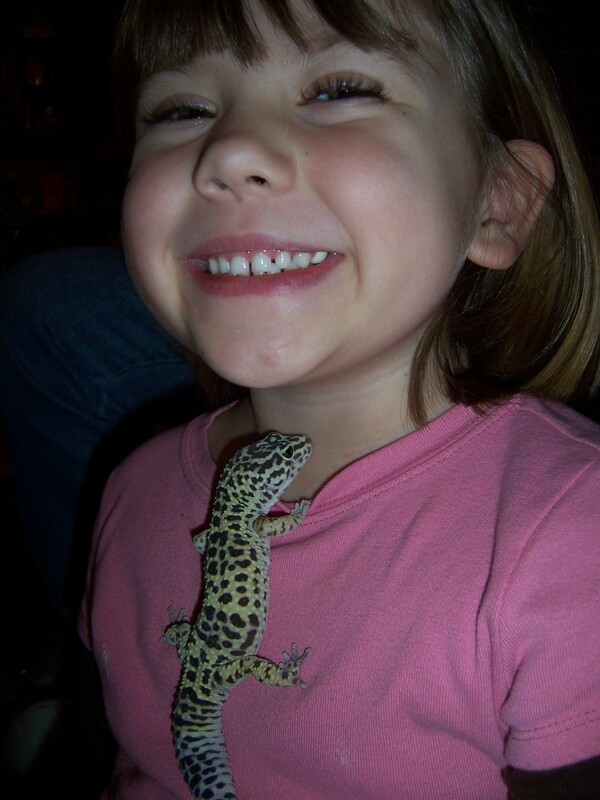 Macy has taken care of a friend’s leopard gecko, the beloved Rico, so she (and we) knew what they were all about. So I went to Petsmart last week to look into it, see what all we would need to make her Christmas dreams come true this year. 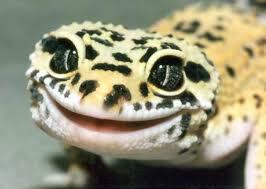 There was a sale on leopard geckos. I love a good sale. However, that also meant, as the reptile lady pointed out, that they were selling more of the geckos, so I might want to go ahead and get mine and avoid the risk of coming up empty-handed when I was ready to purchase. Tricky sales technique, and it worked. I brought the little guy home and set up his tank, with the two lamps and fake plants, the cave and the water dish. I put the mealworms in the fridge and thought about the best place to hide him. I settled on the guest room closet and when the kids got home from school, told them to stay out of there. All was well. Or so I thought. I snuck up to the guest room to feed him the mealworms twice a day and to switch the lamps from day to night light. I thought I was being pretty sneaky. But a few days ago, Macy came downstairs with a very long face and a worried countenance. After some coaxing she finally came out with it: she’d been looking for her clipboard and found the tank in the guest room closet. She was afraid she’d be in trouble, but truth be told, I was relieved that I was no longer in charge of the gecko’s care. I didn’t realize how stressful it was to keep him under wraps and alive until Christmas. 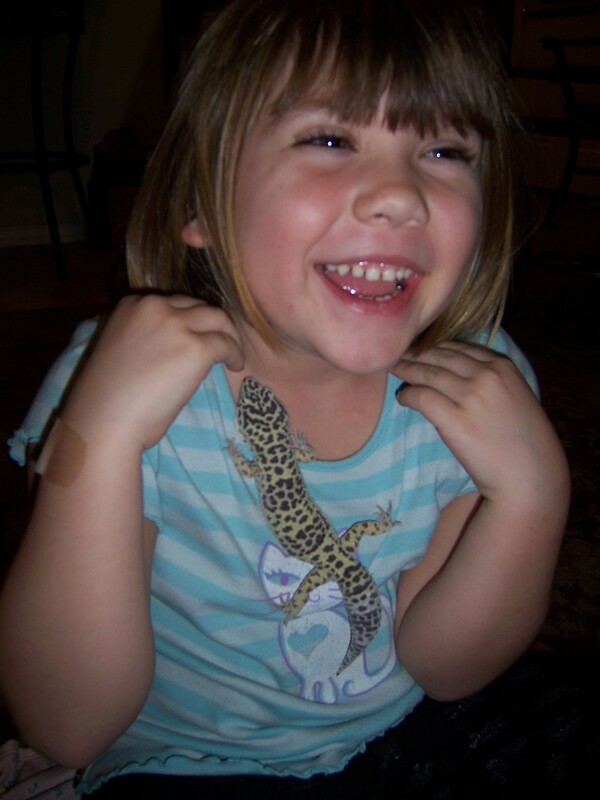 So we moved him from the guest room to Macy’s room, and she was tickled pink to know that she was the proud owner of a leopard gecko. We were busy getting his lamps plugged in in her room and so it was a few minutes before she decided to lift the cave and lay eyes on her new creature. Sorry it’s graphic, but that’s life, people. 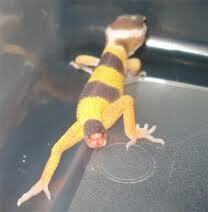 The new gecko had dropped his tail. Apparently it’s common as a defense mechanism (when they’re being hunted) or in times of stress. Guess this little guy was stressed about his new home. But the little zookeeper wasn’t grossed out, she was worried. She was afraid he was going to die. Cue the tears. Merry Christmas, everyone. After some quick Internet research, she was reassured that he was ok, this was something that just happens and that his tail would grow back in a month. We made another trip to Petsmart to treat him to some live crickets (gecko comfort food), and all was again right in our world. This isn’t Macy’s lizard (didn’t want to subject him to even more trauma, so we skipped the paparazzi), but this is what his behind looks like. Kinda creepy, if you ask me. 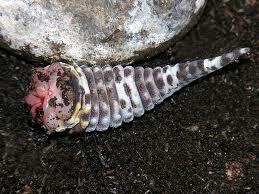 But as the little zookeeper later explained, it’s all part of life, for a gecko. I’ve been a pretty good girl this year. I’ve smiled at fussy babies in checkout lines at HEB. I did my time at the grade-school class parties (not my scene, to say the least). I called the collection agency back — yes, I really did — when they left me a message saying I owed money on a past-due hospital bill that my insurance company says has been paid. I donated nearly-new clothes & home goods to charities multiple times. 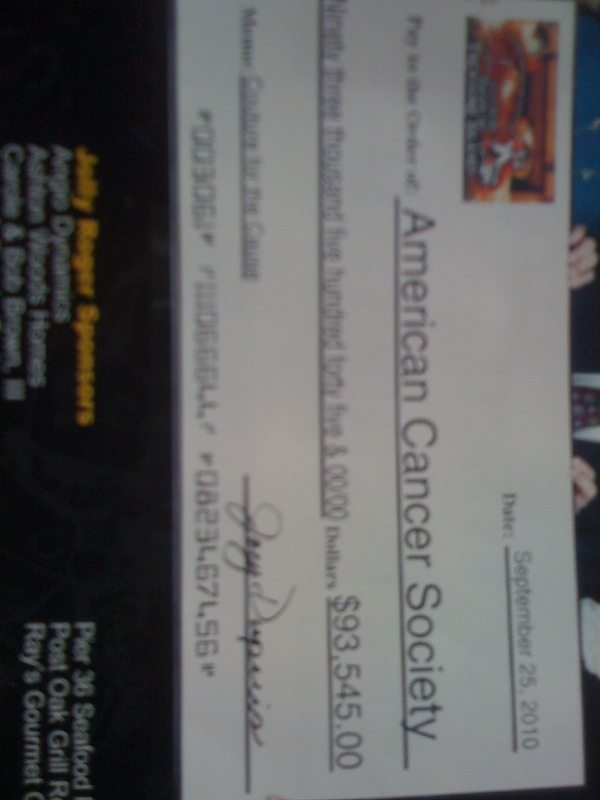 I helped out with the school fundraiser, even though I really, really, didn’t want to. I’ve said please and thank you and bring my own bags. I was a big girl and good sport about all the trips and baseball games I missed this past summer. And while we’re on the topic of this past summer, dear Santa, do ya remember all the hell I went through? 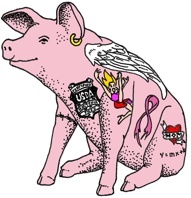 It all started on April 27, 2010, when I was diagnosed with breast cancer. Talk about an “aha” moment. The timeline quickly unfolded like this: the rest of April and first part of May were consumed with tests, tests, and more tests: BRAC analysis, CT scans, x-rays, PET scan, bone scans and MRI. In case that’s not enough acronyms for ya, there was also the L-Dex and then the genomic typing of ER/PR positive and HER2 negative. More injections and blood draws than my poor left arm’s veins could keep up with (literally; there’s a permanent knot in the big vein). Countless appointments with the breast surgeon (Dr Dempsey, who is on the “nice” list) and plastic surgeon (Dr S, who may be on the naughty list), and 3 different oncologists. Meanwhile, there was research to be done and crushing decisions to be made as I prepared for surgery. The phrase “life and death” took on a whole new meaning, sweet Santa. There’s a strange juxtaposition between packing school lunches and signing field trip permission slips while also filling out my medical directive and living will. I learned pretty fast how to act normal when everything around me had been turned upside down. 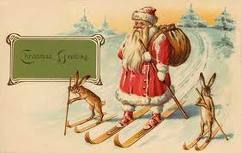 I think, dear Santa, I also did a pretty good job of adjusting and adapting to the new normal. I think, fat man, I’m still doing a damn fine job of that. One quick look at my profile tells you that there most definitely is a new normal around here. Santa baby, I was a good girl after the double mastectomy and the lymph node removal that left me battle-scarred and weary. I was an especially good girl in the face of the plethora of prescription drugs I could have used & abused. I was a diligent girl when it came to choosing green drink over Diet Coke, all-natural hormone-free yogurt over Blue Bell. Santa, I was a brave and good girl when the nasty infection set up shop in my still-raw chest wall. I endured the 103-degree fevers, 22 days in the hospital, multiple tissue excisions and untold poking & prodding without much complaint. I missed the comforts of home, my dogs & my kids more than words can say, but I only cried twice. And even then, it was when no one else was around to see. We don’t even need to recount the 18 days during which I was attached to the wound vac 24-7. I would really like, dear Santa, to permanently erase that memory from my grey matter, por favor. But I would like to remind you that I was a trouper during the home health days, and all those hours that were consumed with wound care and the administration of IV antibiotics. And while I’m at it, can I get a little shout-out for not killing Dr S, even though he probably deserved it? Oh Santa, I do crave some credit for all the antibiotics I’ve endured — and continue to endure. From the Vancomycin to Cefapim, from the Cipro to the Zyvox, from the Biaxin to the Bactrim and Minocycline. Those last two will be part of my daily routine for a few months yet, but I’m already looking forward to the day in which I don’t have them on my kitchen counter anymore. So Santa, how about we make a deal? I’ll set out all the milk & cookies you want in exchange for one little thing. All I want for Christmas is to have it easy for awhile. Yowza. That’s quite a check. It’s from the Couture for the Cause, which you loyal readers will remember was the premier Fort Bend event at the end of September in which funds were raised for the fight against cancer, and in which yours truly participated in the fashion show. You may recall the tremendous amount of trepidation I felt toward the event. If not, let me remind you: I really, really, really didn’t want to do it. I had only been out of the hospital a few weeks, and was not in runway shape, to say the least. However, as with most things we force ourselves to do, in order to stretch our comfort zones or become a better person or whatever reason for the torture, it ended up being one of the absolute, bar-none, best-ever experiences of my entire life. As much as I’d like to claim responsibility for that huge sum of money raised, the truth is that beyond the $100 ticket that Trevor bought to attend the event, I didn’t have a whole lot to do with it. But next year, I will. Because I will be hounding everyone I know to pony up, buy a ticket, and come to the event. I plan to do the fashion show again, and I expect you all to be there. In reflecting back on how scared I was to do the show, and how uncomfortable I was in my outfits (but loved every inch of the shoes! ), I’m grateful for a whole lot — for having the courage to do it even though I didn’t want to; for having parents who raised me to honor a commitment even though I didn’t want to; for being upright and out of the hospital, not attached to an IV or a wound vac; for the great and true friends who were there that night to cheer me on; and most importantly, for life and the ability to savor it. Please know what a personal and professional experience last evening was for Tamara, me and my fashion team. We love our work in the fashion industry. I am grateful that through the almost 60 – 70 events me and my team produce a year that we are able to help important causes raise awareness and more importantly dollars for worthwhile causes. But the true joy of our work is the people we meet and get to work with along the way. Tamara, me and my team spent all of last night after the show while packing things away recounting very special moments each of us experienced with each of you. We are grateful for those moments and they will mean much to us for a very long time. This event honors and celebrates a special group of people who have experienced or are experiencing cancer. While there are many stories I will share one from last night. One of the models was very gun-shy about participating in this event. She came into the fitting at Tootsies tentative and not all certain about modeling in the show or that we would find anything flattering for her to wear. Her experience with cancer is fresh and current, recently having surgery. During the hair and make up prep period I started seeing how excited she was getting. She especially loved her hair. During the show I remember her beaming as I sent her to walk the plank. After the show she shared what an amazing and fun time she had by modeling in this show and said she would see us next year. And she will. I just read, yesterday morning, that Elizabeth Edwards announced that “future cancer treatment would be unproductive” and that she had only months or maybe even weeks to live. And then she died. That same day. I’m so sad. For her. For her kids. She’s suffered a lot already (let’s not even mention her jackass husband and all the suffering he brought into her life). She wrecked up my childish yet dogged desire to believe in a limited amount of suffering in one person’s life. I wanted to believe that losing my mom would be the worst thing to ever happen to me. So far it is, but when I look at Elizabeth’s Edwards’s life, and the fact that her 16-year-old son was killed in a car crash, I am smacked in the face with the reality that there is no limit to the amount of suffering in one’s life. 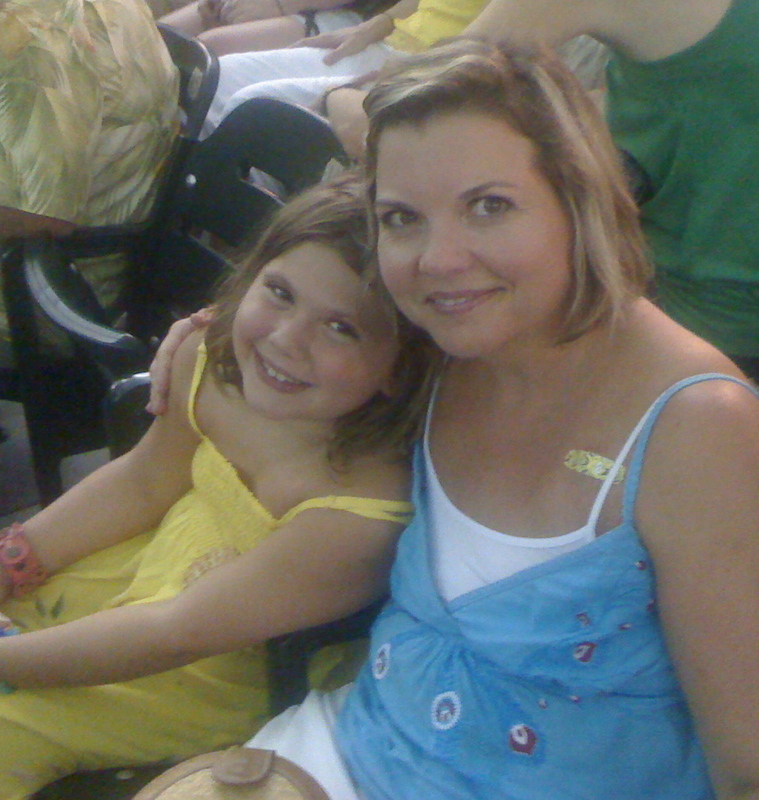 Elizabeth faced her breast cancer publicly and bravely. She was diagnosed in November 2004 and made headlines when she urged her jackass of a husband to continue his presidential campaign despite her Stage IV cancer. Stage IV. That’s as bad as it gets, and the fact that she wanted him to continue his dream despite the tumor in her breast and the spots on her rib, lung & hip, is the epitome of selflessness. She was brave, and she was a fantastic example to cancer patients everywhere that life goes on. Despite diagnosis, life goes on. Despite treatment, life goes on. Despite surgery, life goes on. Despite complications, life goes on. Despite John Edwards making a fool of himself and a mockery of all that his family held dear, life goes on. And life did go on for Elizabeth. She worked hard: raising her family, writing 2 books, advising President Obama on health care reform, and doing her best to make a difference–for her family, for countless cancer patients, and for herself. Although she was all these things: attorney, author, advisor, advocate, she said often and proudly that her job was to be a mom. She knew her cancer wasn’t curable, but treatable. She did all the right things and tried to stay strong, despite life on the campaign trail. Her cancer did win, but she is a champion nonetheless. Rest in peace, Elizabeth. I was at Walgreens (again) to pick up (yet another) prescription, and had one of the best belly-laughs I’ve had in a while. Thank heavens Macy was with me, or I might have embarrassed myself, and the pharmacist, even more. To set the scene: I go to Walgreens a lot. They know me there, kind of like how it was for Norm on Cheers, but without the drinks and witty repartee. I have lots of prescriptions, all of which are on a slightly different schedule, so that I can’t ever manage to go pick up a month’s worth of all my drugs but instead make multiple trips every month. Usually, there’s either a grandfatherly pharmacist or a host of young female techs. This visit, though, I found a sweet young male tech behind the register, and another sweet young male pharmacist. While these two fellas were plenty easy on the eyes and seemed competent at their jobs, I do prefer the grandfatherly pharmacist because he always calls me “miss” instead of “ma’am.” I know, it’s a farce, and I know I’m way more “ma’am” than “miss” at this stage of the game, but I like it anyway. The young whippersnappers both referred to me as ma’am, but I’m not going to hold that against them. The young tech went to get my order, and the young pharmacist butted in to ask if I had any questions about my meds. I thanked him but said no, I’m a frequent flyer here, quite the pro at taking these drugs. He couldn’t just leave it at that, he had to be extra thorough and read the warning labels on one of the drugs, either one of my antibiotics (yes, I’m STILL on them both) or my iron supplement, I’m not sure which. So he looked at the label and asked me, in all seriousness, if I might be pregnant or am breastfeeding. I can’t decide which scenario is most amusing: pregnant me, in all my forced-menopause hot-flashing, hormonalness; or the idea of breastfeeding with no um, breasts. Those poor sweet young men behind the counter didn’t know and can’t be blamed. And I’m pretty sure both were quite horrified when I told them, in no uncertain terms, that both scenarios are quite impossible for me and that any baby relying on me for breastfeeding would be utterly starved to pieces. We had a good hee-haw about it, and the tech said something about the fact that I look young for a cancer patient. 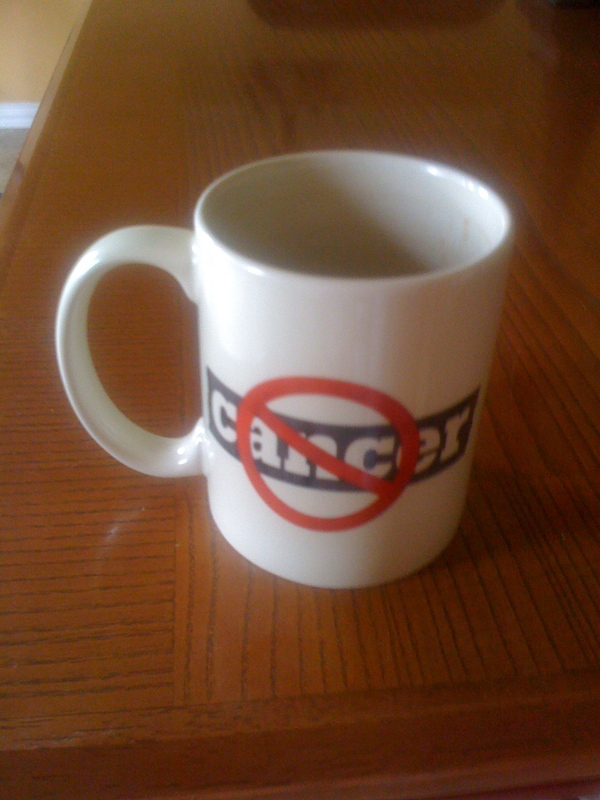 Shows how much he knows: there’s no mean demographic for cancer. The pharmacist said, any age is too young to be a cancer patient. And how.